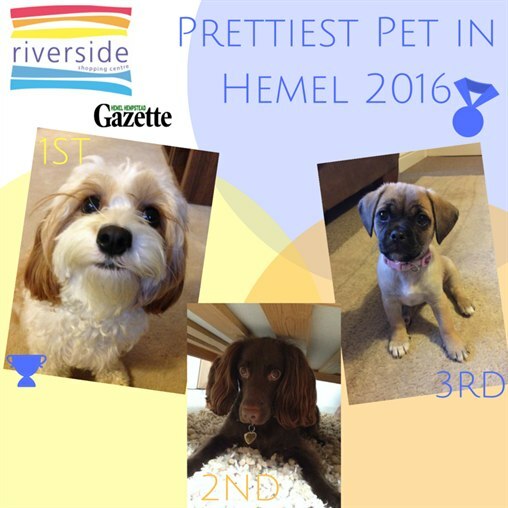 It's time to announce our Prettiest Pet in Hemel Hempstead 2016 winner in association with Hemel Hempstead Gazette. After 100's of entries and over 3,300 votes to crown the top three we are pleased to reveal the winners! Congratulations to gorgeous little Lottie owned by Michelle Glover who has come in 1st place! Your prize includes Pet photography shoot withSally Masson Photography. Our 2nd place goes to lovely Betsie owned by Ria Hosier. Finally, 3rd place is little Riley owned by Lisa Williams.